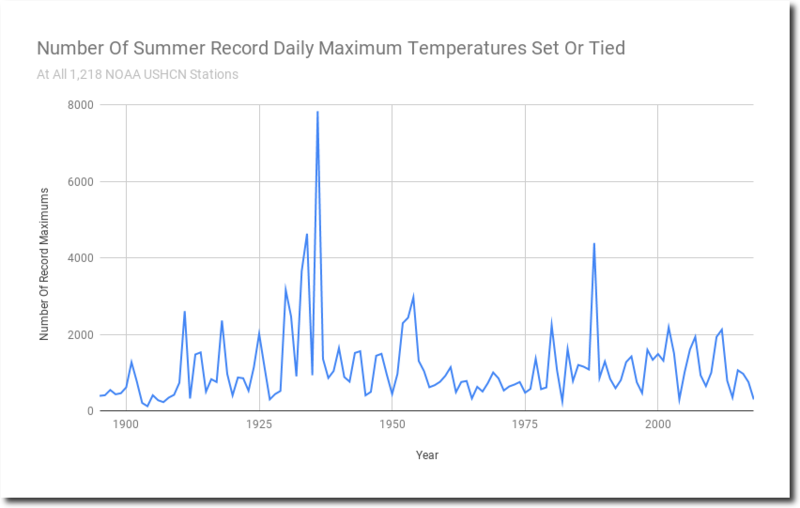 The number of record daily maximum temperatures in the US has been seventh lowest on record so far this summer. 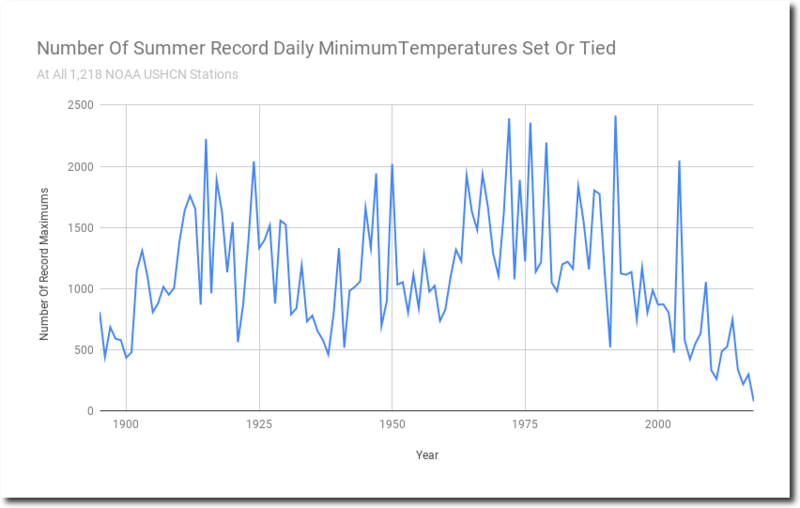 The number of record daily minimum temperatures in the US has been lowest on record so far this summer. There have been no all time record maximum temperatures set this summer, at any of the 1,218 USHCN stations. 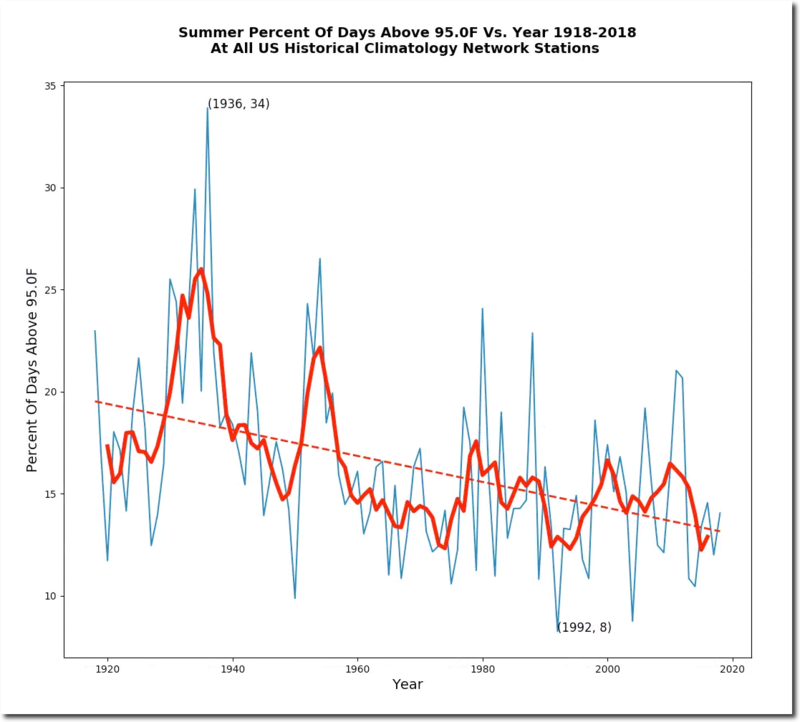 The frequency of hot days has plummeted in the US over the past century, with this year being one of the lowest on record. 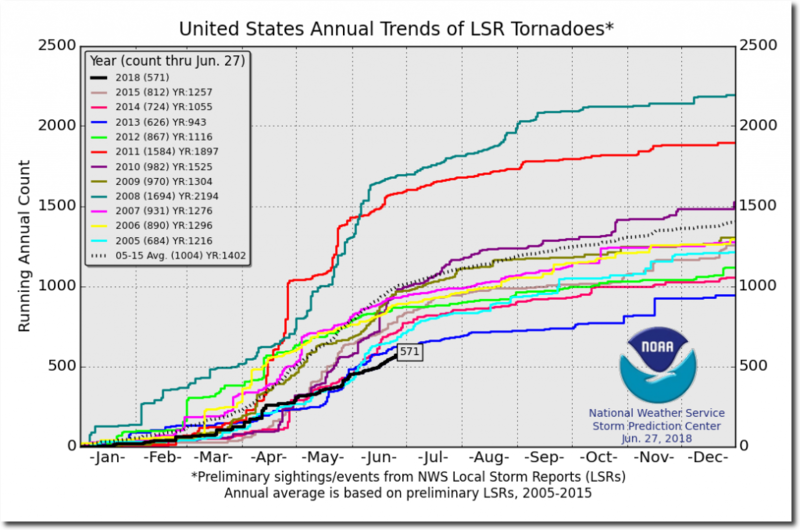 The number of tornadoes has been lowest on record this summer. There US has been hit by no hurricanes so far this summer. By this date in 1886, the US had already been hit by four hurricanes – with three more on the way that year. 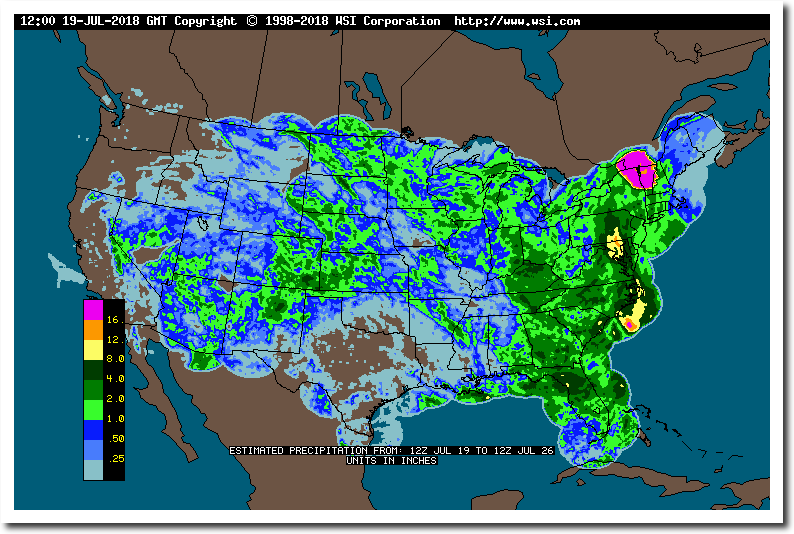 And lots of rain falling, which is minimizing drought and fires. 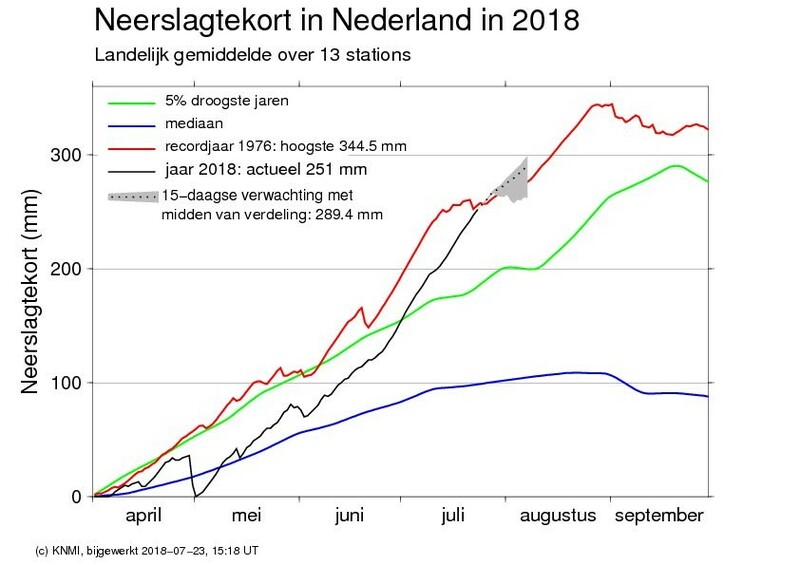 It is difficult to imagine less extreme weather occurring in summer. But the usual fake news sources are reporting the exact opposite. How can it be presented so that liberals, Democrats, and RINOS can see it? You forgot the stick to the carrot: gun to the head. ‘Least extreme summer on record in the US’ yes, but we are paying a price and are burning up in west europe. MAGA. Is there anything he can’t do? A tie with the all time drought record+ its 100 degrees fahrenheit days what is 27 degrees fahrenheit hotter than normal for us. We are not used to this kind of heat. Throw some cash at the sky. More effective than air conditioning. MAGA. Now we are back as the greatest power! Let’s go. VOTE 2018. VOTE RED. Brad , very logical , precipitation on world-scale does not change that much . It is the division of resources that is sometimes creating extremes . One thing is Always certain and that is uncertainty about what tomorrow brings . It is how you cope and live with it that can make the difference between happiness and misery . Im not saying its global but its strange weather. These are the first signs of the incoming GSM. Meanwhile in Europe and Japan…??? Meanwhile in Siberia and Greenland…..
Its called WEATHER, you moron. !! And there is absolutely ZERO evidence that it is any way affected by anything humans do or have done. 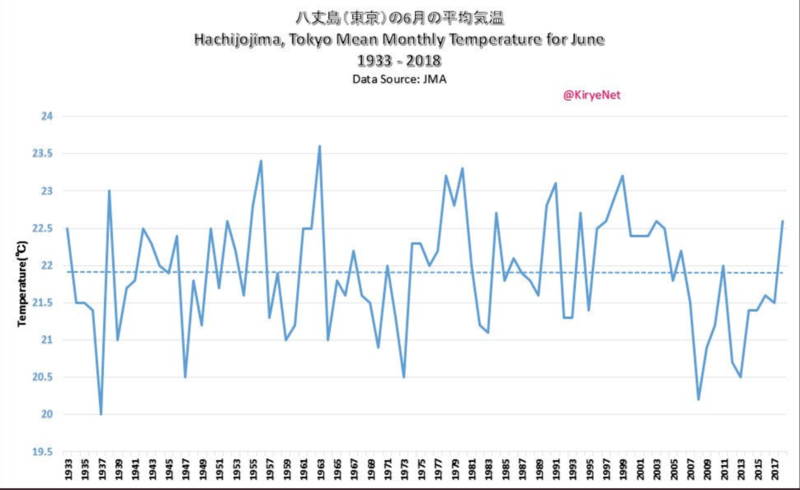 Japan and the strong effect of the heat island?! Racist leftists. Always happy when Asians are suffering. When Siberia, Greenland, and Japan having nice summer, liberals quiet. When Siberia and Japan over 30celsius, Greenland over 10 celsius, liberals cheering since Siberians, Japanese and Inuit suffer. Good point, but may I say I’m getting a bit tired of all the tears and hand wringing over the Inuit? Exactly. The Inuit have never known a higher standard of living than they now enjoy. And the Pacific Islanders living in the Pacific Islands. As they say in sports, “records are meant to be broken”. 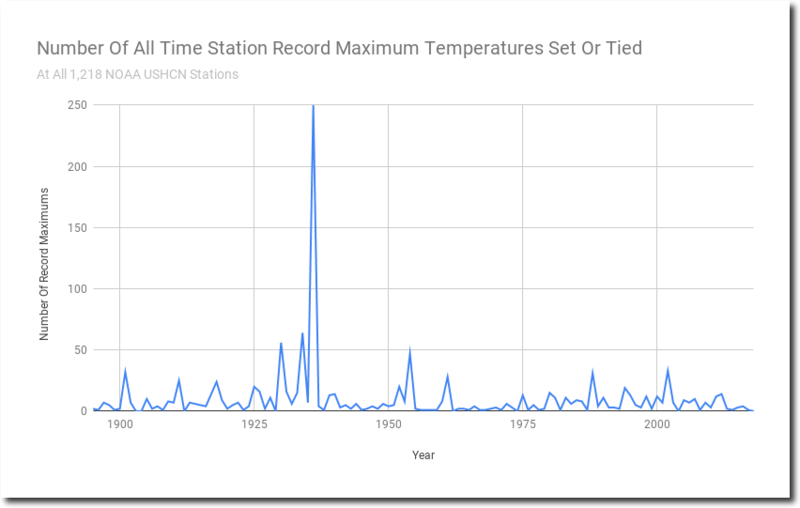 No global warming skeptic ever promised that one place or another would never set a high temperature record again. LOL. What a crock. The USA comprises 3.797 million mi², or a miniscule 1.92% of the 196.9 million mi² of earth’s total surface area, and in terms of heat capacity the USA doesn’t even hold a candle to the 5.6×1024 Joules/Degree Kelvin heat capacity of the ocean. You can’t base world climate on what happens in Paris, Texas. More than 90% of the long term daily temperature data in the Global Historical Climatology Network is from the US. But good to see you admit that the US is cooling. Marcus, can you show us even one example of you attacking alarmists for conflating weather with climate, or for cherry picking dates, or are you just another useful idiot? I can make an educated guess. Can you prove me wrong?